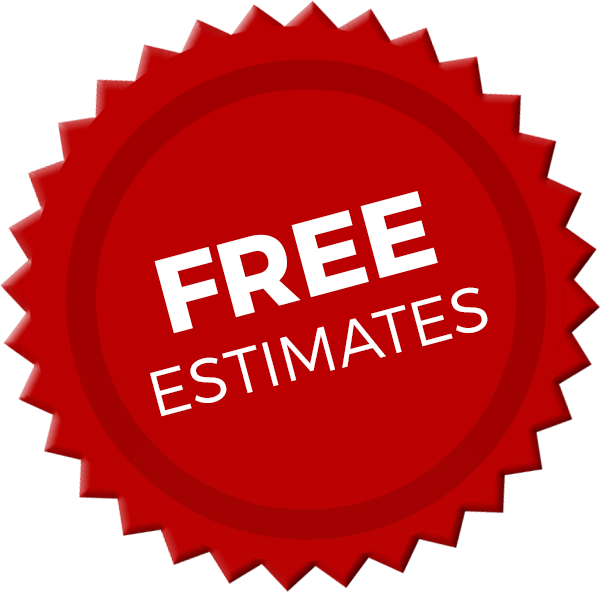 We offer the lowest prices in California on artificial grass. Prices start as low as $4.25 to $5 per square foot, depending on the product you choose. When properly installed and cared for, artificial grass can last for 15 years or more. Artificial grass is made from polyethylene, which is the same type of plastic found in plastic bags and bottles. This material is non-toxic and lead-free. Artificial grass is very low maintenance. It really just needs to be rinsed with plain water to remove dust and dirt that may settle out of the air onto the turf, and brushed periodically to prevent matting in high-traffic areas. Is Artificial Grass Good for Pets? Yes, artificial grass with Durafill infill is an excellent solution for pet owners who want a green lawn. Pet urine will not stain or discolor the lawn, and as long as you clean up solid waste regularly and rinse the turf frequently, it will not smell. Artificial grass is also strong and durable enough to resist damage from digging and scratching. When paired with anti-microbial Durafill infill, TigerTurf Pet Turf is naturally anti-bacterial and odor-resistant. However, you still need to clean up your pet’s waste promptly. Solid waste should be scooped up and discarded, and any residue can be cleaned with a disinfecting product like an enzyme cleaner or vinegar. Liquid waste should be rinsed away frequently with plain water. Setting up a sprinkler is an easy way to do this. Why Do I Need Infill? Infill is an important component of your artificial turf system. It helps hold the turf down while also keeping the fibers upright and separated. Yes, almost all artificial turf systems include a perforated backing that will drain water faster and more thoroughly than traditional turf. The slope of your property may require special measures like French drains, just as it would with real grass. Yes. Some products are shinier than others, but all artificial grass will lose its sheen eventually. How long the sheen lasts depends mainly on the chemical makeup of the fibers. Yes. 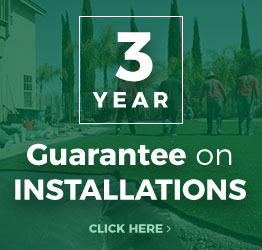 We guarantee the quality of our installation work for 3 years. TigerTurf, the manufacturer of the artificial grass we sell, offers a 15-year limited warranty on their products.